Dual feed, center return. This rail will support in excess of 1200HP. You will receive the Titan rail, adapter brackets to support rail on your Supra, injector grommets and o-rings and the aluminum intake manifold adapters to fit to your factory intake. 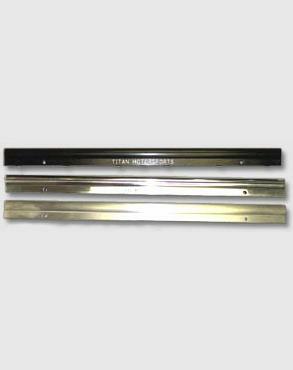 This is a complete fuel rail assembly for usage with aftermarket fuel injectors.